As more people abandon cable TV for cheap or free streaming services, some hardware makers are hellbent on mashing up online video with free broadcast channels. Combining live online video with free antenna-based broadcasts seems to be the holy grail these days, and Channel Master is the latest to give it a shot. In a software update for its DVR+ boxes, the company is adding a new feature called Channel Master TV. Think of it as a TV guide for live, online video, with a single programming grid that also includes channels from an over-the-air antenna. Channel Master doesn't say in its announcement which streaming channels are available. Reports on Reddit claim that the lineup includes Bloomberg TV, ABC News, Vevo, Adult Swim, and BBC World News, along with about two dozen lesser-known channels. There's reportedly no programming data for these channels, but users can switch between them with very little lag, just like an over-the-air channel. Over time, Channel Master says it will continually add more streaming options. It's also looking to partner with independent production companies and broadcast startups to add unique programming to its lineup. To get these channels, you'll need a Channel Master DVR+ box, which lets you record shows for free from broadcast networks such as ABC, CBS, NBC, and Fox. The basic box costs $249 and requires an external hard drive for DVR functionality, while a $399 model has a 1 TB hard drive built in. Why this matters: Channel Master is not the first to attempt this sort of thing. Android TV devices such as the Nvidia Shield now offer a Live Channels app that combines traditional television and live, linear streaming. 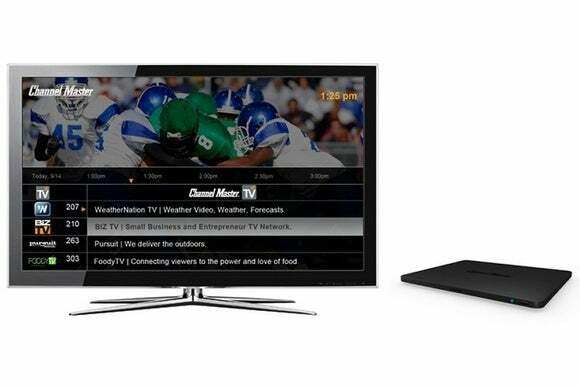 Mohu Channels and the Xbox One also offer unified programming guides for broadcast and online video, though they emphasize on-demand rather than linear streaming content. Still, none of those options combine broadcast DVR into the same package. The addition of streaming channels sounds like a nice frill for a device that is otherwise short on extras.